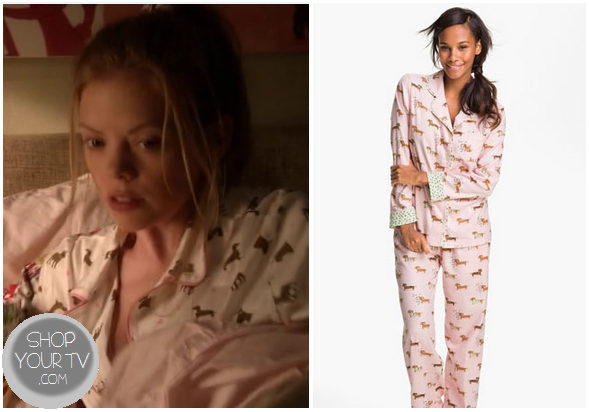 June Colburn (Dreamer Walker) wears a cute pair of dog print pajamas at the start of this week’s episode of Don’t Trust the B* in Apartment 23. These aren’t the exact pair, but are very close! Keep checking the Apartment 23 tag, and I’ll post the exact one if I find it!